On October 29, tragedy disrupted the standard order in Indonesia for the second time in a month when Lion Air Flight 610 crashed into the sea shortly after its departure from Jakarta, killing all 189 passengers on board. In response, the global media turned, yet again, to the nation that only a few weeks prior had been ravished by an earthquake and tsunami that brought about the deaths of thousands. Indonesia has the fifth largest domestic aviation market in the world, which is understandable considering that flying is essential for mobility within the archipelagic nation. Yet, following the recent crash, questions regarding the safety of Indonesian air travel have arisen. Investigations by Indonesian regulators as well as Boeing, the manufacturer of the aircraft, have discovered problems with several other planes in the Lion Air fleet, of which the airline was supposedly made aware yet failed to act on. The evidence of the disregard for safety within the Lion Air company does not inspire confidence in future flight operations and, as a result, has left potential customers wary of using Lion Air as well as other Indonesian airlines in their travels. Indonesian airlines have a long and tainted history of dealing with safety concerns and the West has been a common source of these trepidations. In recognition of the importance of having the confidence of Western visitors, who make up the majority of tourists who visit Indonesia, Indonesian regulators often seem to implement or adapt safety regulations to meet Western standards rather than address Indonesian concerns. This trend can be observed in Indonesia’s handling of formalized warnings against travellers using its airlines. In 2007, the European Union placed all Indonesian airlines on its Air Safety List, denoting their failure to meet international safety standards. The advisory, which discouraged Europeans from travelling on Indonesian airlines, was lifted earlier this year due to recent improvements in Indonesian aviation regulations, but the issues brought to light during the investigation into the recent crash have proven that there are still lingering problems for national flight regulators to resolve. Lion Air is a budget airline that does not necessarily target wealthy vacationers. However, since Lion Air controls 51% of the Indonesian market, the lack of alternatives often means that well-to-do travellers wishing to take regional flights often have to resort to the less reputable, locally-operated carrier, despite its history with ill-fated flights. The growing problems surrounding Indonesia’s aviation market, paired with the recent stories of inadequate disaster-management infrastructure, pose a serious threat to the country’s tourism industry. The Indonesian economy has become increasingly reliant on its tourism sector in recent years, with the World Travel and Tourism Council ranking the importance of tourism to Indonesia as 22nd in the world and Indonesian President Joko Widodo has publicly expressed that the country expects to welcome over 20 million international tourists by 2019. However, much of the surge in tourism in the last decade has been facilitated by the general lack of public awareness surrounding the potential risks to personal safety, such as terrorism and natural disasters, especially in comparison to other destinations in the region. 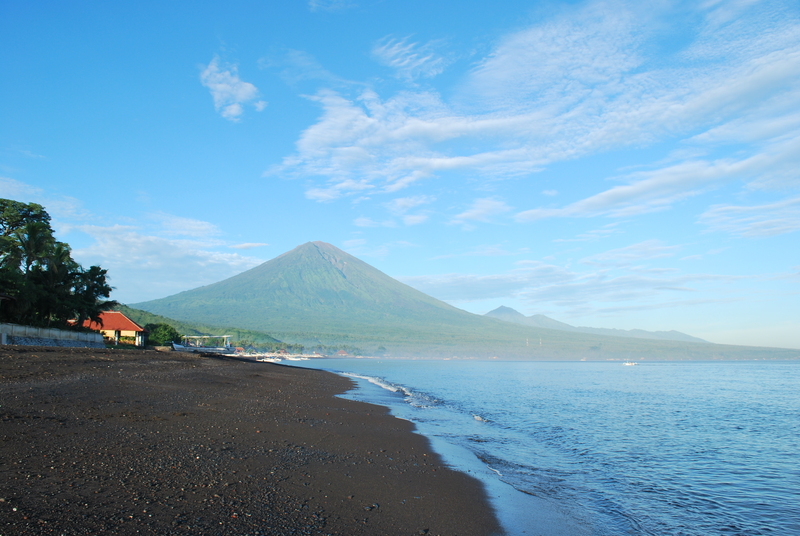 In 2017, following the highly-publicized eruption of Bali’s Mount Agung, there was a brief lapse in tourism in Indonesia, which suggested that potential visitors can be easily deterred from travelling when they perceive any kind threat to their safety. If left unaddressed, the two recent, major emergencies could very likely be catastrophic for Indonesia’s tourism economy, and subsequently the national economy, in the coming months and years. Recently, the Indonesian government has begun prioritizing Jakarta, Lake Toba, Labuan Bajo, and Mandalika in its efforts to attract new tourists to the country. Infrastructure development projects in these areas, which the government intends to develop into destinations of the same calibre as Bali (an island already regarded as one of the world’s top vacation locations) often focus on improving visitors’ air travel experiences through the enhancement of airport terminals and roads leading to the airports. Currently, nearly 80% of international flights to Indonesia fly into either Jakarta or Bali, thereby requiring tourists to take connecting flights to reach destinations elsewhere in the country. The new projects aim to reduce the need for passengers travelling from abroad to use the ill-reputed national airlines to reach their final destinations. However, while plans have been developed, a lack of adequate funding has prevented any major progress. In the meantime, major global news stories involving large-scale tragedies at the hands of Indonesia’s troubled airlines hinder the chance of enhancing the allure of Indonesian travel. Since the Indonesian government is so outwardly focused on tourism as a mechanism to drive the economy, the tourism sector has taken precedence over other sectors in the allocation of funds. While the touristic success of sites such as Bali has proved beneficial for the island’s local economy and residents by improving education and encouraging infrastructure and public health initiatives, the unstable nature of the tourism industry means that, without adequate regulation, the potential benefits can quickly turn destructive. While tourists are massive contributors to the Indonesian economy, one-sided development projects, and the subsequent influx of tourists that such projects hope to persuade, risk endangering many of Indonesia’s time-honoured customs. For example, efforts to create tourist-friendly spaces have encroached on the ability of local Indonesians to use the land for traditional agricultural practices and rituals involving the land and forests. As a result, this “Westernization” of Indonesia’s most attractive areas threatens to eradicate the intricate culture that has existed in the region for centuries. An example of the detriment of Western-oriented infrastructure development can be observed with regards to Indonesia’s rice farming industry. Rice farming, a traditional Balinese occupation, is increasingly endangered by the construction of villas and resorts that block irrigation systems and even take over entire rice fields. While farmers who suffer the loss of land can often take advantage of the new jobs created by the tourism industry, their livelihoods have nevertheless been entirely altered, oftentimes for the worse. The changes endured by the landscape threaten the survival of fishing and agricultural industries as well as the sustainability of numerous cultural practices. In addition to scandals and problems involving air travel and the detriments of a superabundant focus on the tourism sector, Indonesia has also recently been affected by a number of serious natural disasters, notably earthquakes and tsunamis. When stories of volcanic eruptions and violent storms continually appear in the international news, tourists become understandably more skeptical of choosing Indonesia as a vacation destination. This skepticism and the effects of the natural disasters are magnified when the Indonesian government repeatedly chooses to focus on ruthless Western-friendly progress, wherein amenities are hastily constructed in high volumes, rather than safety-oriented development, such as improving building foundations, for its own citizens. This causes excursionists to lose confidence in the safety of travel within Indonesia, thereby deterring visits to the country. Meanwhile, undeveloped land is rendered unviable for essential uses such as agricultural productivity and ritual practices and Indonesians, who lack the ability to return to their traditional occupations or the proper support to deal with tragedy, are left with useless parks and empty luxurious resorts. Undoubtedly, last month’s Lion Air crash will evoke a sense of apprehension in potential visitors, thereby undermining the tourism-centred “master plan” laid out by the government for the country’s development. As a result, a vicious cycle is perpetuated, wherein proper safety precautions are overlooked in favour of swift, yet often ineffective, progress. Therefore, when disasters do strike, their effects are exacerbated, discouraging the presence of those the progress is meant to serve. Little is left behind for those who have been there all along. Anna Aryal is a U1 student currently pursuing a degree in Anthropology with a minor in Italian Studies. She is interested in affairs in South and Southeast Asia, migration, and cultural and economic development. In her free time, Anna enjoys film photography.